Home / Organization FAQs / How to add multiple admins to my organization? Yes, it is possible to have multiple admins. Step 4: Select additional user setting for, you can select organization, Programs/Departments, and Position. You can see the added “additional user” in the “Users list” as shown below. 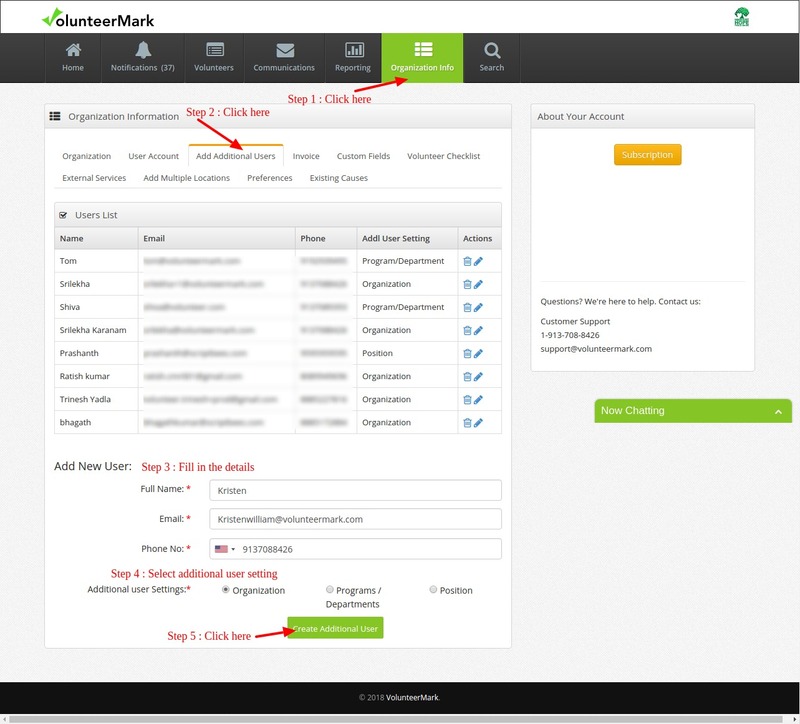 If the users don’t have a volunteerMark account, they will receive an email to activate the account by setting up a password. 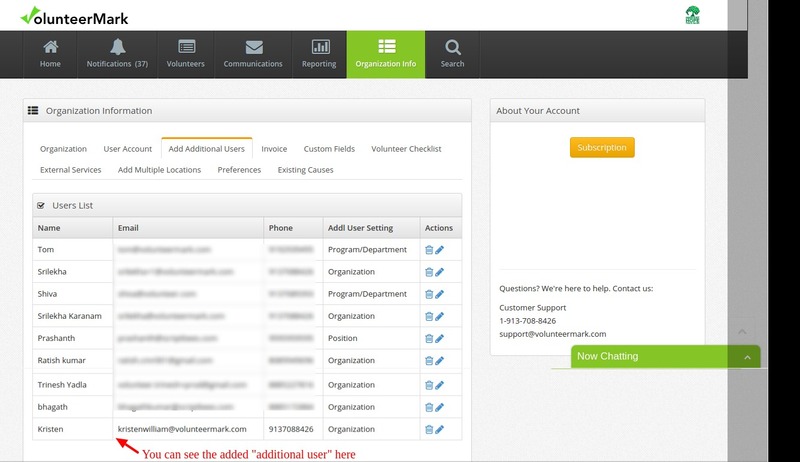 If the users already have a VolunteerMark account, they can simply click on the “organization icon” after successful login as shown below.